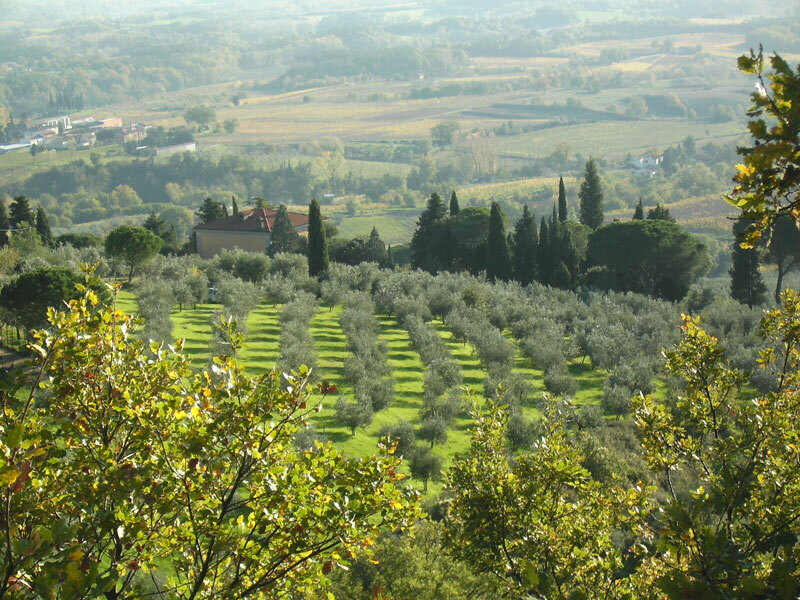 In Tuscany olives are harvested from mid October to December. 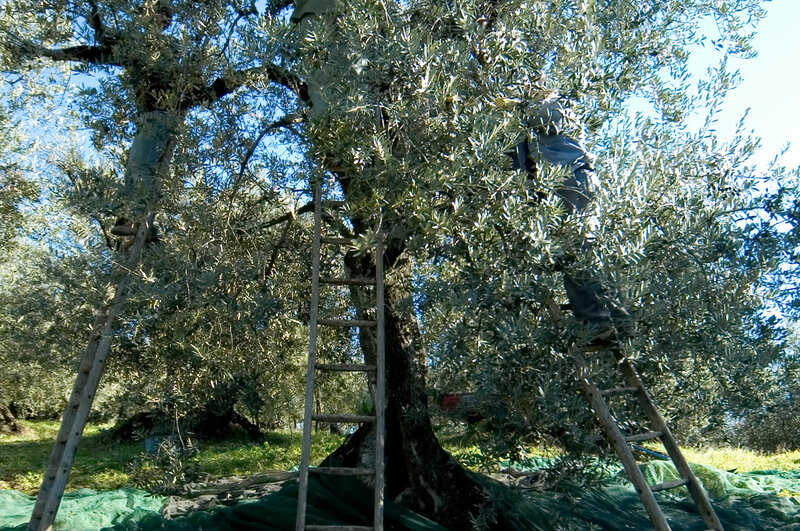 The olive harvest is usually made by hand, while olives are still green using the traditional method called “brucatura”, in which olives are “combed” from the tree branches with a scissors-shaped instrument. Mechanical olive harvest is becoming more common, but picking by hand is still considered the ideal way to harvest olives, because it preserves both the olives and the trees from damage and for the next year harvest. 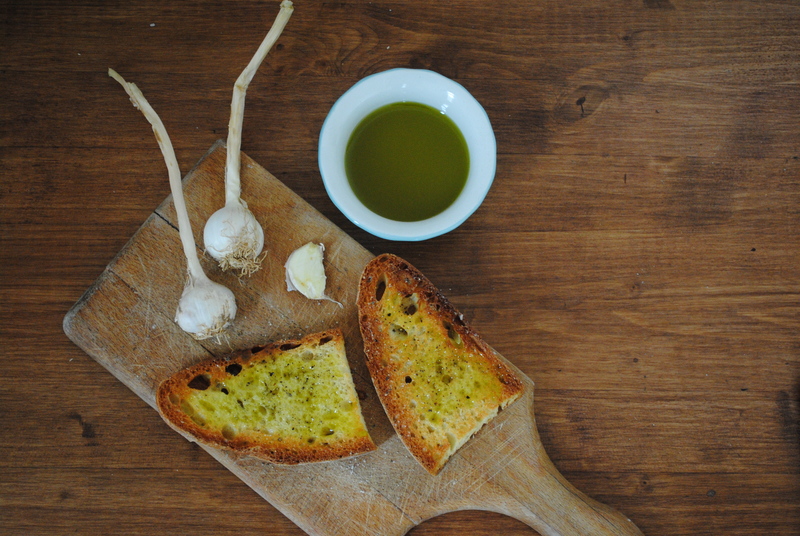 Traditionally, the olive growers of Tuscany will reward family and friends who help out with the olive harvest with an "al fresco" picnic lunch right in the olive grove: good wine, Tuscan bread and cheese, sometimes a mixed grill of meats and white beans cooked with rosemary. So the olive harvest today and in the past was, besides hard work also a traditional, peasant occasion to spend with family and friends. 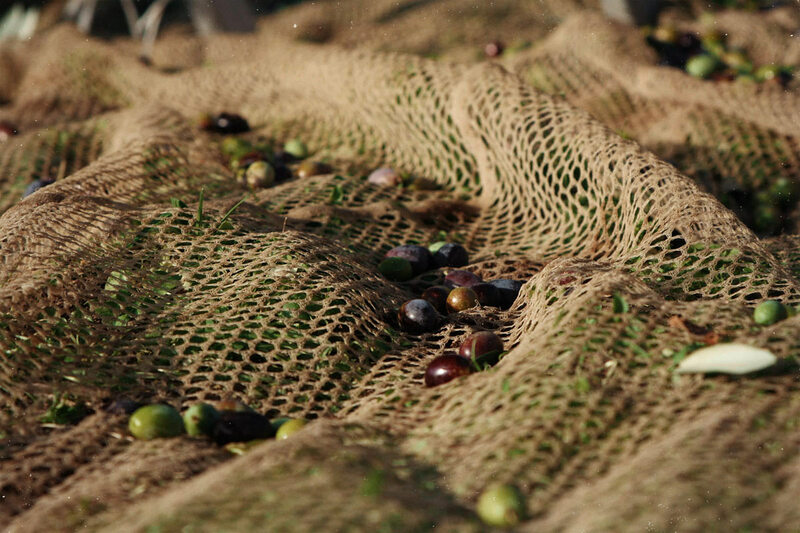 Once olives are harvested, like grapes, must be pressed as quickly as possible to avoid oxidation or fermentation, which can mar the flavour of the oil or make it taste rancid. In each olive we can find only about 20 percent of oil, so it takes a few hundred olives to make less than a single litre of oil. In Tuscany, after the olive harvest, the olives are taken to a communal mill called "frantoio", to be pressed into oil and then bottled. At the mill, the olives are crushed to create an olive pulp. The pulp is then processed to extract a mixture of oil and water. The oil and water then are separated in a centrifuge and the fresh, fragrant oil is poured into terra cotta jugs or, at more modern mills, into steel tanks. The oil is left to sit for 30 and 40 days to clear, after which it is filtered and bottled. 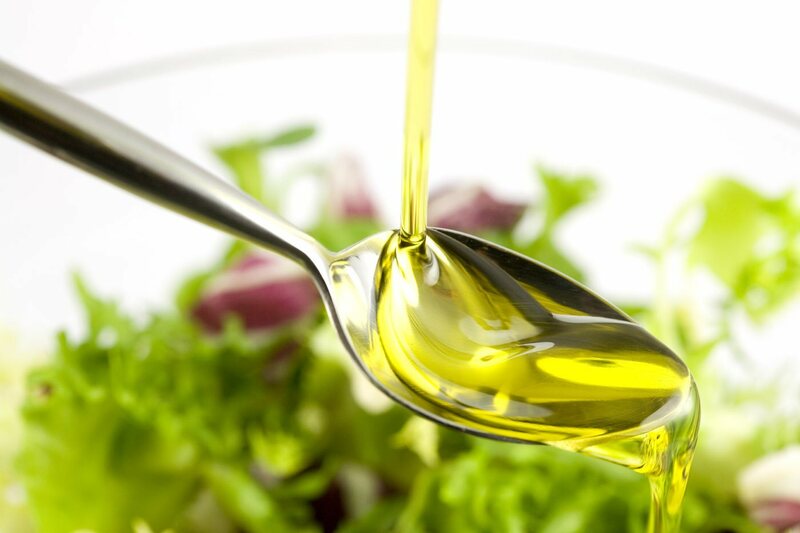 The “new oil”, with its characteristic green colour, is then ready to be tasted with the typical, unsalted Tuscan bread, on salads, meat and with garlic “bruschetta”. 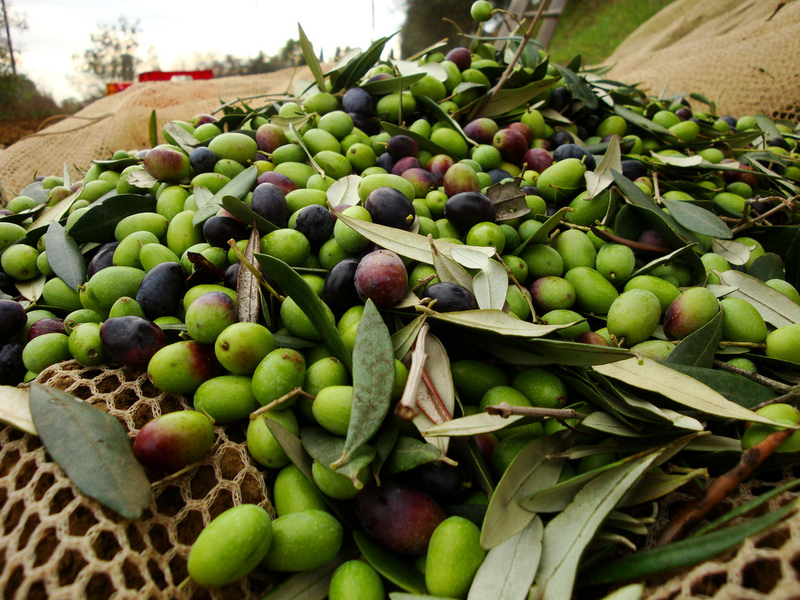 To see Olive Harvest on the spot book a villa in Tuscany with us!